The Wisconsin State Capitol on Dec. 4, 2018, when a late night debate was taking place over contentious legislation. Some labor unions in Wisconsin are suing the state over the lame-duck legislation that took some powers away from new Gov. Tony Evers and Attorney General Josh Kaul. WUWM's LaToya Dennis reports. Wisconsin labor unions have filed the third lawsuit against legislation signed by former Wisconsin Gov. Scott Walker before leaving office that limits the power of the new Democratic Gov. Tony Evers and Attorney General Josh Kaul. No one stumped harder for Evers in the race against Republican Walker than Wisconsin labor unions, according to Neal Bisno. He’s executive vice president of the Service Employees International Union. “We made thousands and thousands of calls, knocked on doors, and mobilized thousands of Wisconsin voters to stand up to the issues that matter to workers and their families. We inspired many new and infrequent voters who were fed up with participating in politics to turn out and actually make their voices heard this past November,” he says. Bisno says it’s with that same spirit that five unions, SEIU, the American Federation of Teachers Wisconsin, the Wisconsin Federation of Nurses and the Milwaukee Area Service and Hospitality Workers Organization have joined forces in the lawsuit filed Monday in Dane County Circuit Court. The suit argues the lame-duck legislation cooked up by Republicans in the Legislature was an unconstitutional power grab. “They were upset they lost, so they tried to change the rules of the game to grasp at the power the voters decided to give to the new governor. Well, in Wisconsin and the United States, politicians don’t get to rewrite the form of government just because they lost an election,” Bisno says. The unions say that the lawsuit is challenging the separation of powers doctrine in the Wisconsin constitution. “The lawsuit details the way in which the new laws violate the state’s constitution, separation of powers and prevents the governor from acting as chief executive of the state. Including stripping the executive powers of its litigation authority, empowering the legislators to override executive branch decisions, hindering the ability of the executive branch to communicate with the public and giving legislative control over key state agencies,” says Kim Kohlhaas, president of the American Federation of Teachers Wisconsin. Chad Oldfather, a law professor at Marquette University, says that everyone understands "the sort of Schoolhouse Rock version" of how government works. “It’s up to the Legislature to pass laws. The governor has the ability to veto those and then there’s an ability for the Legislature, if there are two-thirds of them in each house willing to do so to override a governor’s veto. And that’s the sort of standard separation of power dance that we all know,” he says. Oldfather says there’s merit to the argument being made by unions that the Legislature is taking away powers more fitting for the governor. He says what he expects to see next are people trying to get the word out about why this actually matters. “Demonstrate all the various kind of unintended consequences of the lame-duck legislation. They’re really attempting to show that what’s going to happen as a result of this is that all sorts of kind of standard workings of government are really going to be slowed down because this legislation purports to essentially have the governor come back and check in with the legislator before taking an awfully broad swath of action,” he says. Oldfather says he expects this lawsuit to move quickly through the courts before landing with the Wisconsin Supreme Court. After the bills passed, Republican Robin Vos said this is about ensuring Republicans continue to have some input. “I think that while some on the left and many in the media have tried to make this into some sort of cause celebre, it’s a simple reality that we are ensuring by passing these bills that when we negotiate over the next four years that we have equal seats at the table,” he says. Vos also says that the governor of Wisconsin still holds the most powerful veto pin in the country. Several Democratic-leaning groups in Wisconsin are challenging bills Republicans passed in December that limit the powers of the state's new Democratic governor and attorney general. The groups argue it was illegal for lawmakers to call themselves into session to take up the bills. 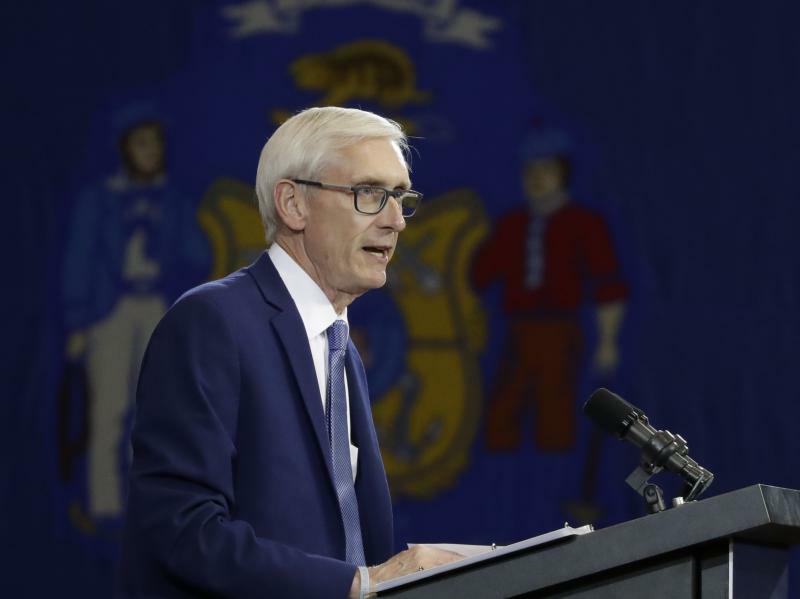 The Republican-controlled state Legislature in Wisconsin has approved new limits on the power of Democratic Gov.-elect Tony Evers in a lame-duck session. What Are The Legal Implications Of Wisconsin Legislature's Reach Into Attorney General Powers? Republican state lawmakers recently advanced bills that would strip power from both the incoming Democratic Gov. Tony Evers and Democratic Attorney General-elect Josh Kaul. For one, the new bills would require a legislative committee rather than the attorney general to sign off on withdrawing from lawsuits. This would prevent Kaul from withdrawing from a national lawsuit that’s seeking to invalidate the Affordable Care Act. The Republican-controlled Wisconsin Legislature has approved a sweeping package of bills that weaken the powers of the incoming Democratic governor and attorney general. The state Assembly approved the measures Wednesday morning. The state Senate did the same, less than three hours earlier, after lawmakers worked through most of the night. Now, the bills go to outgoing Republican Gov. Scott Walker, who has signaled his support.